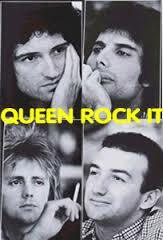 ← Queen – Crazy Little Thing Called Love. Publicat pe 4 august 2015	de Cristi M.
Brian May began composing in 1968 to 1969, and through the years he has collaborated with other songwriters, including Frank Musker, with whom he wrote „Too Much Love Will Kill You”, and with Elizabeth Lamers, whose music won the Ivor Novello Award for Best Song Musically & Lyrically in 1996.A meticulous arranger, he focuses on multi-part harmonies, often more contrapuntal than parallel – a relative rarity for rock guitar. Examples are found in Queen’s albums A Night at the Opera and A Day at the Races, where he arranged a jazz band for guitar mini-orchestra („Good Company”), a vocal canon („The Prophet’s Song”) and guitar and vocal counterpoints („Teo Torriatte”).